Hi! What do you think: is this eclectic? I used skinny strips of patterned paper from a Stampin' Up! scrap bag, and arranged them in a random kind of pattern on a cream panel. 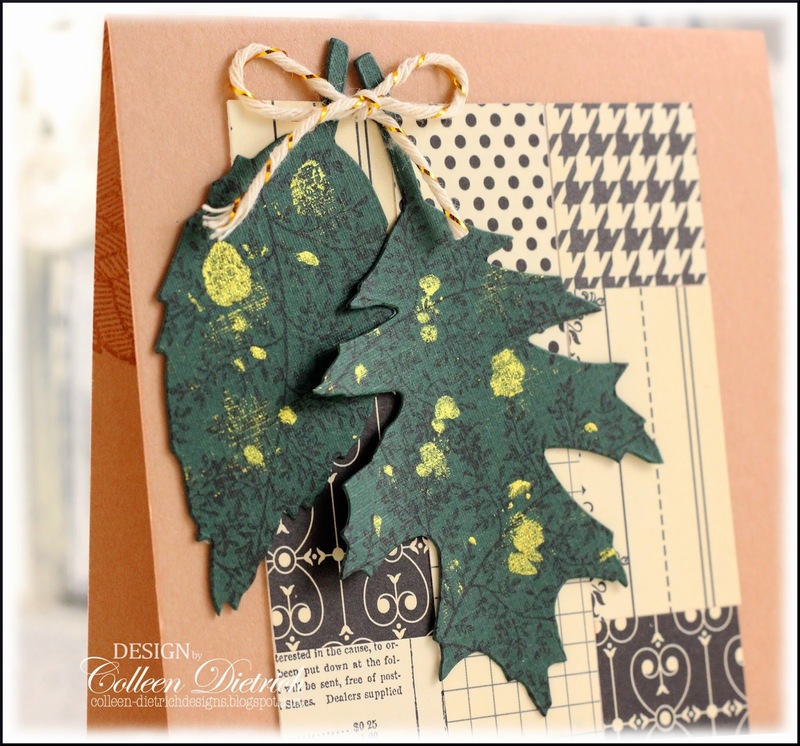 After securing the panel to the card, I added some Tattered Leaves (Tim Holtz/Sizzix) which had been gussied up. 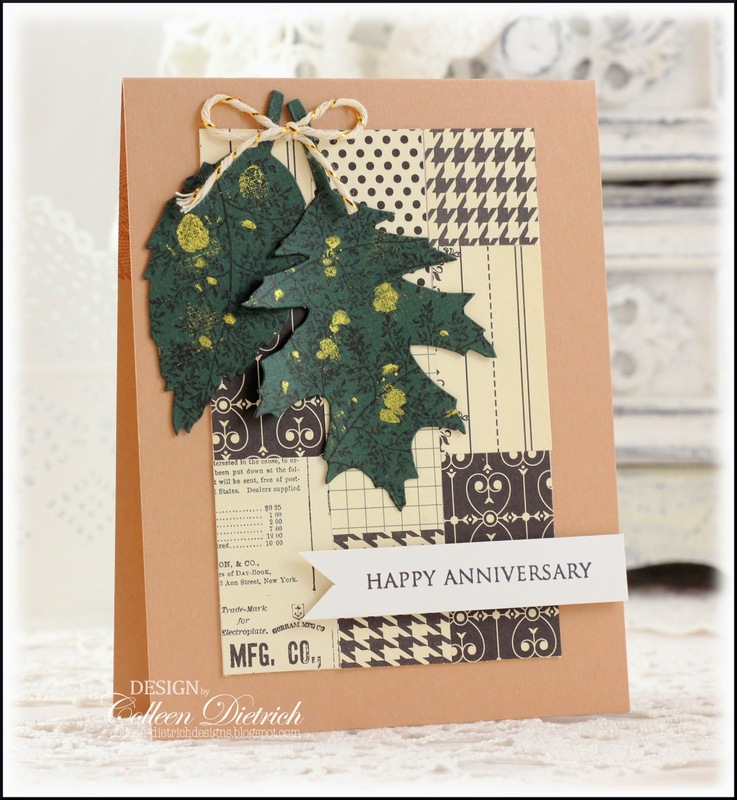 A fern stamp from Stampin' Up! 's Touch of Nature gave the leaves a bit of subtle interest, stamped in black, and then some smudges of gold Smooch ink provided some luster. The sentiment at the bottom is from Hero Arts Everyday Sayings, on a hand-trimmed banner. So gorgeous! Love love love those leaves!!!!! Gussied up, indeed, and so pretty. I love those leaves. Of course, I adore that showing of houndstooth. Super card!!! Wow Colleen what a great design!! Not too far from your style, still PRETTY too!! Lots of style and fun in this eclectic mix of paper and parts! It has an appealing design, easy to look at colors, and an interesting pattern in the paper. I love it! Love this combo of patterns and colors. Well done Colleen!